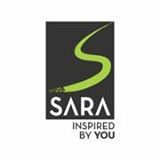 Incepted in 1997, and guided by a simple yet profound philosophy; ‘Inspired by You’, Sara Group strives to create spaces inspired by our customers. Today, we have emerged as one of the fastest growing companies in the region. Integrating our brand philosophy, all our projects are created in accordance to the ever evolving, and dynamic needs of customers. We have created some of the most affordable homes with perfectly planned architecture and modern amenities. Being a member of CREDAI, formerly known as PBAP, all our construction conforms to its norms. Having started with just one project, Sara Group is now expanding to other regions and is all set to redefine Pune’s architectural skyline. Our growth journey is a result of the integrity, innovation and trust we have built over the years. Our strong business fundamentals ensure steady & sustainable growth. We are not just builders but visionaries of tomorrow. To build a better tomorrow by going the extra mile to understand the needs and aspirations of our customers. Powered by our brand philosophy ‘Inspired by you’, we strive to create spaces that blend in with the surroundings and exude vitality and aesthetic appeal, making them present-perfect and future-ready. We strive to offer the highest level of customer satisfaction by consistently delivering pioneering solutions that cater to the needs of every generation while adhering to quality. We are committed to becoming one of the leading companies in the nation.